No, we're not going to hard sell you or bury you in annoying emails, but we would like some information. What brought you here, what are your issues, and how can we help? 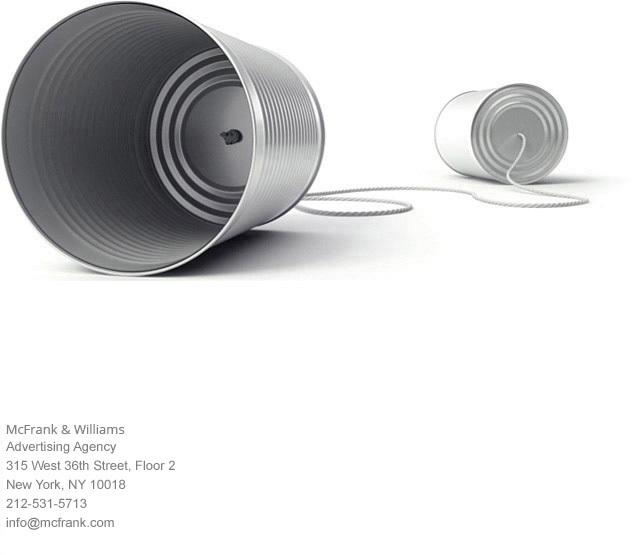 Getting started with McFrank & Williams is easy. If there's something you haven't seen, or a question that hasn't yet been answered, the information is no more than a few clicks away. Fill out the form below, or just pick up the phone and give us a buzz. We'd love to chat.